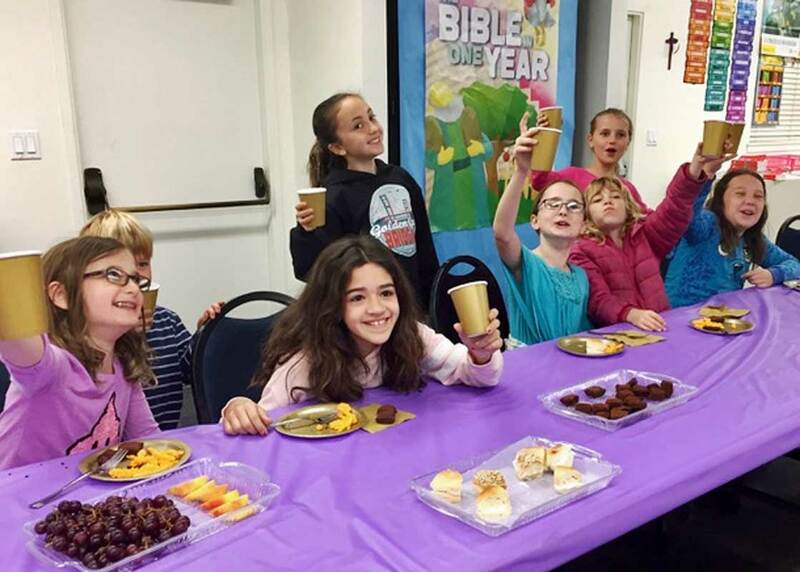 Acting out part of their Bible journey in church school, the children participate in a banquet held in honor of Queen Esther. Teaching and leading our children is a central ministry of our church. When we witness a baptism, we as a congregation pledge to do all in our power to support the baptised person in their life in Christ. We rely upon many dedicated volunteers to provide an environment where our children can learn of the love that God has for them. Children in preschool and kindergarten through grade 5 are Champions. In the Sunday morning 10am ministry for children the Bible is taught creatively with skits, videos, music and interactive storytelling. Grade level small groups are intentionally shepherd by loving leaders dedicated to sharing God's love. All of the church school leaders and assistants are required to have a background check. Blessing of the Animals Sunday after Easter Sunday. All children are invited to bring their loving pets or a favorite plush animal for a blessing.